I’ve always love valentines day. Even when I was single I loved it. Mostly because I can celebrate and enjoy my true love, chocolate! I’ve already started making some of my favorite valentines day treats! 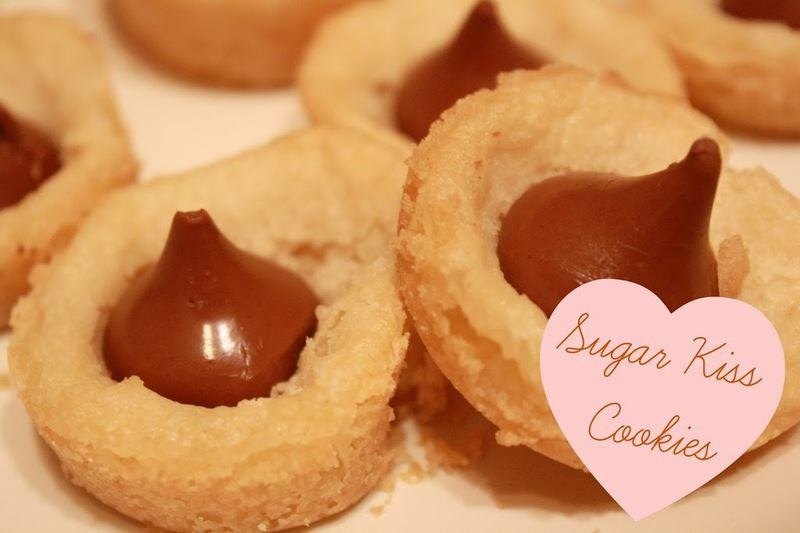 These cookies are so easy to make and taste like little drops of heaven! I make the cookies in a mini muffin tin to give them the bowl shape and while they are still warm I drop in some chocolate kisses. These cookies are so easy to make, and you can fill them with what candy you like! I can’t wait to try different combinations! 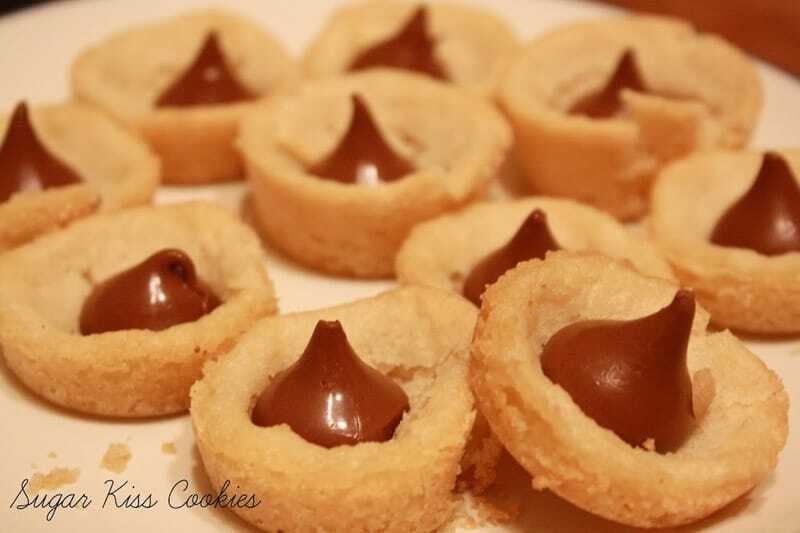 All you need for these cookies is a roll of cookie dough and chocolate kisses for the filling! You could make your own dough of course, but we don’t always have time for that! Cut your sugar cookie dough in rows about an inch thick. Then cut each inch thick circle into 4th’s. Grease a mini muffin pan. Place the small pieces of dough in the mini muffin pan. Bake at 350 degrees for 10-12 minutes. Once your cookies are done take them out of the oven and let cool. 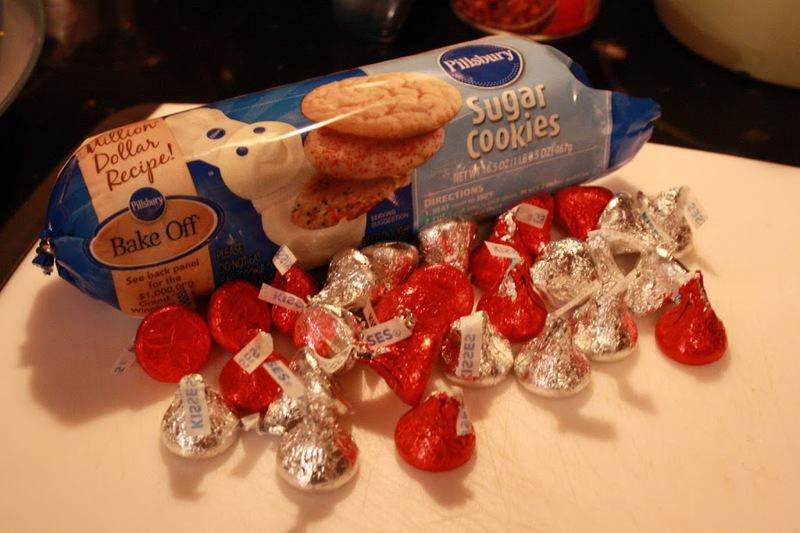 Before your cookies completely cool add your chocolate kisses to the inside so they can slightly melt! What’s better then a warm sugar cookie filled with melted chocolate! I can’t think of anything! What about you?? Oh my gosh, these sound so dang good! I want to make these for my husband for Valentine’s Day. Thanks for sharing this great recipe! These are so cute! I was in Target this weekend and saw Kisses in TONS of flavors: cherry, caramel… it’d be so fun to make these with those filled kisses! I’m so glad I came by. I’m always looking for simple recipes to make with the grandkids. This is perfect! These look amazing! They would make good Easter cookies to! Just put a few of those egg looking candies inside instead of the kiss! Thanks for sharing!